Welcome to PressClub United Kingdom. •New flagship BMW X model offers unrivalled luxury in large 4x4 segment. • Three versions available from launch: a six-cylinder petrol engine and two six-cylinder diesels. • Three rows of seats: third row has two full-size seats for adults. • BMW Intelligent Personal Assistant included as a standard. • On sale from April 2019, with OTR prices starting from £72,195. The all-new BMW 3 Series Saloon. •Seventh generation 3 Series Saloon to debut at Paris Motor Show. • New design language focuses on clean, precise lines to emphasise superior driving dynamics. • New range of standard options for instrument panel and centre console. • BMW 330e model with plug-in hybrid drive available. • New BMW Intelligent Personal Assistant featured. • On sale from 9 March 2019 with OTR prices starting from £33,610. • The classical roadster, reinterpreted and sportier than ever. • Engineered with a focus on maximum agility, dynamism and steering precision. • Radically revised proportions, central seating position, shorter wheelbase for increased agility and wider tracks than its predecessor. • Modern, high-class interior styling with pronounced driver focus. • On sale from 4 October 2018, prices to be announced. • First deliveries taking place from 9 March 2019. + Long-term strategic cooperation + Next generation of technologies for driver assistance systems and highly automated driving + Flexible platform and shorter innovation cycles + Technology to be market ready by mid-2020s + Klaus Fröhlich: Consistent pursuit of scalable platform strategy and pooling of expertise from two technology leaders + Ola Källenius: Working with the right partners, we want to continue enhancing this technology. Faster and more powerful: the new MINI John Cooper Works GP to launch in 2020. The new MINI John Cooper Works GP to launch in 2020. By far the fastest and most powerful MINI approved for the road - 4-cylinder turbo engine with more than 300 hp. Limited production - just 3,000 units to be built for sale worldwide. 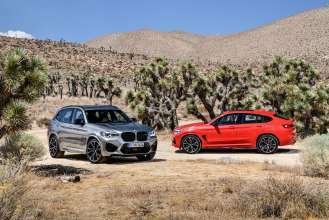 The new BMW X3 M and BMW X4 M Competition models. • Newly developed 510hp six-cylinder engine: 3D printing used in its construction. • From zero to 62mph in 4.1 seconds; peak torque of 600Nm. • Generous standard equipment, simplified offer structure and trademark M exterior design. • Available to order now, first customer deliveries from September 2019. • OTR prices starting from £77,070. • BMW presents a special edition model of the new luxury sports car, limited to 10 units in the UK. • Exclusive exterior and interior trim with specific design features by BMW Individual. • On sale from June 2019 and priced at £121,995 OTR. 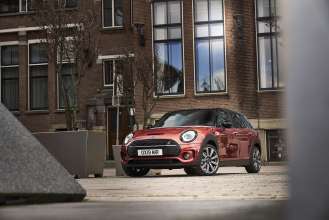 With a newly modified design, the latest technology and hallmark MINI driving fun, the new MINI Clubman has received fresh exterior and interior design changes for 2019. Sir Simon Rattle presents midsummer open air concert. BMW CLASSICS returns to Trafalgar Square on Sunday 30 June 2019 with Sir Simon Rattle and the London Symphony Orchestra for London’s largest open-air classical music concert. This free midsummer concert highlights the continued partnership between BMW and the London Symphony Orchestra, providing access to superlative live music in one of the world’s most iconic public spaces. Please login and update your e-mail newsletter set up and the fields of interest. You can receive PressClub e-mail notifications for new articles and video material immediately or as a daily news collection. BMW Tate Live Exhibition: Anne Imhof. Six decades of inspiration: the MINI 60 Years Lifestyle Collection. 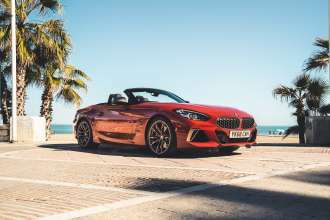 BMW GROUP UK TOPS 2019 FLEET AWARDS. 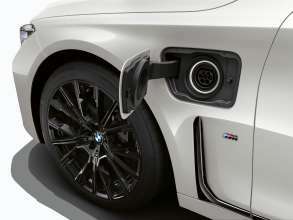 Charging even easier than refuelling. BMW Group UK and Drover Announce Mobility Partnership. BMW’s first UK Urban Store opens at Bluewater shopping centre. Out of this world: the BMW Individual M850i Night Sky. World premiere for the BMW X3 xDrive30e and the BMW 330e, the BMW X5 xDrive45e and the electrified model variants of the new BMW 7 Series at the 2019 Geneva Motor Show – increased electrical range due to new batteries for the BMW 530e and BMW 225xe Active Tourer – plug-in hybrid version of the BMW 5 Series now also available worldwide with the all-wheel drive system BMW xDrive. The all-electric BMW i3 120Ah. Concorso d’Eleganza Villa d’Este 2018: Event organisers establish more categories for historic cars and motorcycles. BMW Group Classic at the Mille Miglia 2017. • Colin Turkington secures his third British Touring Car Championship title at Brands Hatch. • BMW and West Surrey Racing (WSR) take the Manufacturer and Team titles in the BTCC. • Title won in 125i M Sport. BMW Motorsport News – Issue 20/2017. Fleet News award BMW Group UK ‘Fleet Manufacturer of the Year’, and BMW 5 Series ‘Best Executive Car’. 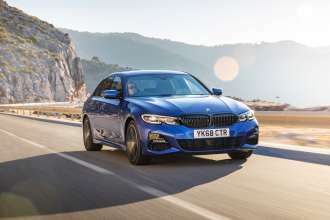 Contract hire and leasing companies also voted BMW the ‘Best Fleet Manufacturer’ in the 2019 ExpertEye awards. Tate Modern unveils major new work by Anne Imhof. BMW brings all-new 3 Series to Britain's premier motorsport championship. MINI celebrates its milestone anniversary with the MINI 60 Years Lifestyle Collection.